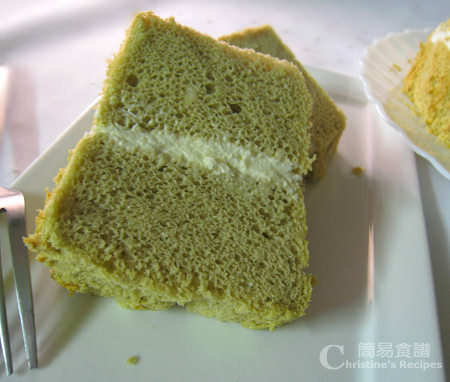 Thanks for your quick response to my request for green tea chiffon cake. I really loved it, and will make one today. Can't wait to see the result. Thanks again Christie! You're welcome. We also like Green Tea cake. It's gone very quickly. This recipe is very simple. I think you can manage and bake a beautiful cake. Can you please translate this to english? Thanks! what does 菜油 means in english? vegetable oil? so in the recipe it needs 5蛋黃 and 6蛋白? also, can i just use the whipped cream instead making it myself? 菜油 is vegetable oil. Yes, 5蛋黃 and 6蛋白. Do you mean the whipping cream for filling? 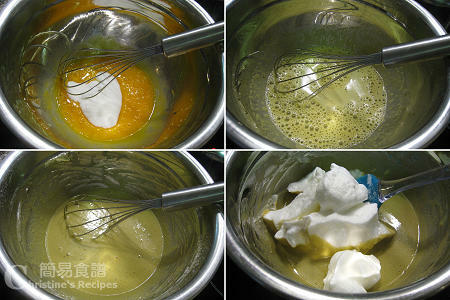 Sure, you can use the ready-made whipped cream at supermarket as filling, very handy! hi , can i use green tea paste instead of green tea powder ?? if yes , how much should i add into this cake ? 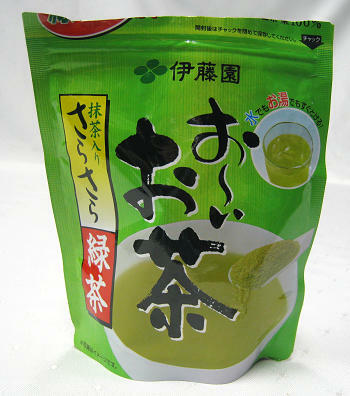 Sorry, I haven't experimented to use green tea paste for this recipe. You might try and add bit by bit as you go.. I've tried your cake today and it taste awesome! but i just don't get why it sank (like the center kind of shrinked down...) after i took it out from the oven... But your looks perfect! Is there a way to solve this? what is the different between 低筋粉 and all purpose plain flour? can I use all purpose plain flour to make Chiffon Cake? I can't find the 低筋粉, what is 低筋粉 in english? Can I use coffee powder for this recipe? You might substitute with coffee powder if you like. And add 1 to 2 teaspoons of quality cocoa powder to enhance the flavours. 你是用哪種橄欖油, light? extra virgin olive oil? 我用的是 extra virgin olive oil. I just recorded what I did here. You can adjust the amount to your preference anyway. Can you tell me what is 低筋粉? 低筋粉是 cake flour. You might like to have a look at this post as well. 十分喜歡你的 blog, 如果我的蛋糕摸是 "non-stick"﹐ 升高程度有影響嗎? I tried this recipe twice but the cake shrink down both times. Not sure what did I do wrong? I tried your Japanese Cheesecake and it was good. I saw your comment above about non-stick mold. So what is the best mold to use? And how to use? Need any oil on the bottom/sides? 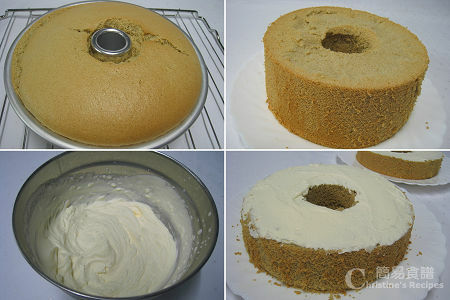 When it comes to making chiffon cakes, non-stick or silicon moulds fail to perform. The fluffy cake needs to stick to the sides of the mould in order to support the whole expanded structure, so the cake won't collapse. I often don't use the non-stick ones. In the picture above, you'll see my cake mould. It's a round tube cake tin, with a removable base. I found this kind of mould is the best for making chiffon cakes. Also, don't ever grease it. Otherwise the cake will shrink once it cools down. 我今天試做了綠茶戚風蛋糕，焗完後變成了深啡色，是什麼原因呢？也沒有綠茶味，是綠茶粉的問題嗎？Thank you for your guidance! Hi Christine, 我跟妳嘅食譜做咗個綠茶蛋糕， 份量一樣同都係用8吋圓形活動蛋糕模， 但個蛋糕發唔起好似妳相嘅咁高， 請問係邊個步驟錯咗？Thanks.